It will come as no surprise how many people, academics and scholars in particular, brim with enthusiasm for their work. Indeed the lifelong dedication toward mastering a specific field, often highly specific, demands a great deal of confidence in the importance of the material. So the music theoretician is aghast you cannot recognize the overture to The Magic Flute, the art historian confounded you don't see the philosophical dimensions of Rembrandt, and so on. Classicists are no different and indeed I know no Classicist with a lukewarm attachment to the Greek and Roman world. Yet the Classicist occupies a slightly different position in justifying his affinity, the difference being that the Greek and Roman world, especially the former, was the birthplace of Western Civilization. Many no doubt bristle at the term, "Western Civilization" which today has, somehow, become déclassé. Without probing the depths of that phrase's evolution, or devolution, "Western Civilization" ought to be a particularly valid term for describing the fruit of the Classical world for the reason of common cultural, political, and social ancestry alone. 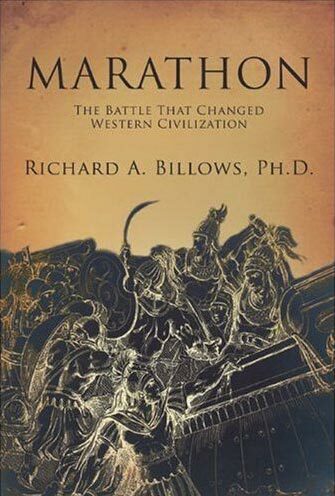 Richard A. Billows', Marathon: How One Battle Changed Western Civilization, explores and commemorates this seminal event of the Battle of Marathon, whose 2500th anniversary is approaching. The 490 B.C. defense of Greece by 9,000 Athenians and their allies from an invading Persian force had been considered by the 18th and 19th century philosophers and in particular the 19th century "philhellenic" Romantics, as a critical moment of Western Civilization. Today, though, the influence not only of the battle but of Classical Greece, and the concept of a "Western identity" are, incredibly, no longer settled matters. To any student of history, such is pure rubbish, and Billows deserves credit for saying as much in no uncertain terms, "Some contemporary historians deride the idea of classical Greece as the cradle of Western civilization. They seem to me to be, quite simply, factually wrong; wrong not so much about classical Greece, as about the modern development of Western culture." Billows takes pains to say several times though, to emphasize that he's not making a qualitative assessment of the Greek influence and Western Civilization, but rather simply that the Greek influence was a significant one. It is a general principle about making movies that a battle on the screen is only as good as the buildup to the action. In laying out the histories of Greece and Persia immediately preceding the battle at Marathon, Billows follows this principle and the result is effective. This is no small feat considering the quantity, significance, and complexity of the events in discussion. Yet the opening chapters do not simply recap history, but set the stage for 490 BC. What comes across most strongly are the many changes, none of them inevitable, which the Athenians underwent in the time preceding Marathon which made victory possible. We begin, both customarily and properly, with Homer, who introduces the first of two concepts that we will see play out throughout Greek history. The concept of aristea, or "bestness" is at the heart the Greek enthrallment with being the best and the best at absolutely everything. This focus on being the best and demonstrating it, seen in the very aristocratic nature of early Greek warfare and the Iliad and Odyssey, which focus on great, famous men, goes hand in hand with the concept of eris. First laid out by Hesiod and usually translated as strife, eris is the intense competitive ethos, which can be good, encouraging a warrior or artisan to do the best work possible, or bad, causing disarray and disunity amongst a citizenry. These two concepts will underscore all Greek history, here enriching, there bedeviling. Moving on from the Archaic times we see Greece grow and mature. We see its alphabet, around 800 BC., the first simple one which one could read and spoken completely from the text as written. We see the birth of trade and the rise of a middle class, one which would challenge the old aristocratic order. We see the tyrants, more properly understood not as malicious rulers, but as rulers who usurped the power from the traditional sources, the aristocratic families. In art we find songs which also criticize society and the status quo, but not with the claim of being prophets or aristocrats, but with the only authority of being a fellow citizen in a free society. This growing egalitarianism manifested itself in the Athenian military too, which transitioned from a system focused on rich, powerful, and well-equipped aristocrats to what we have come to know as hoplite warfare, of citizens tightly formed in ranks, supporting each other. Billows' sections on early Athenian lawmaking and political life are especially good. The early conflicts among powerful aristocratic families like the Alkmaionids, the middle class, and tyrants, some of who wanted simply to usurp power and some planning actual reform, come across appropriately as unpredictable: no one knew the direction the government of Athens would take. Aside from the reforms of Solon, the most famous Athenian reformer and one of the "Seven Wise Men" of early Greece, Billows calls needed attention to two facts. First is the incredible civic participation of the early Athenian democracy. He points this out by way of comparison: The 500 councilors of Athens represented a body of about 30,000 to 50,000 men; The USA has a total of 535 members in the bicameral congress, representing over 200 million citizens. 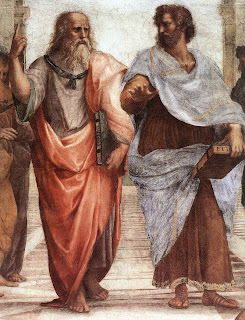 The Athenian system was designed to achieve in representation as random a sample of the people as possible, both by its size and by apportioning to localities. Billows' second point is the obscurity of the creator of this system, Kleisthenes. Mainly, why has he been largely forgotten? Billows traces this to the re-creation of the democracy following the overthrow of the "Thirty Tyrants" who ruled after Athens' defeat in the Peloponnesian War. In re-creating their democracy, they needed to establish legitimacy and continuity and thus the reformers like Ephialtes and Kleisthenes were too recent to draw on as authoritative. They needed to reach back farther, to an older tradition, and thus turned to Solon as the great founder of their traditions. This argument persuades. Documenting the rise of Persia presents a different challenge, mostly because of the dearth of details on them. We rely heavily on Herodotus out of necessity. Billows strikes a good middle ground in citing the oft-fanciful and highly narrative stories Herodotus gives us about the rise of the Persian Empire, neither reporting them uncritically nor following the contemporary trend of disparaging him. (In the Suggested Reading section, Billows refers us to the recent scholarship on this debate.) Nonetheless, the story of the Persian Empire has an undeniable epic sweep: the fall of the Assyrians to the Medes, the Median King Astyages' fall to his grandson, Cyrus, who conquers and pulls together the many disparate lands to forge the first Persian Empire. When we finally meet Darius, he is one of several aristocratic conspirators attempting to seize the throne upon the deaths of Cyrus' sons, Cambyses and Smedris. Billows tells this tale quickly and soberly without the usual flash and drama that usually attend this "scandal" of succession. We see that when Darius finally encounters the Greeks, he has spent years fighting to re-unite the empire, which was plagued by rebellions when he took the reigns. He wasn't going to take any nonsense from these small, relatively poor, and quarrelsome people on the western border of his finally-secure empire. In the years immediately preceding the battle of Marathon, the Athenian democracy was still fragile. It survived threats in part by the Corinthians and Plataians standing by their alliances to Athens. Thus the Athenians now were united with Sparta in resisting the Persians, who were now demanding the traditional tribute of submission, earth and water, after crushing the Ionian Greeks who revolted. Well, they were sort of united. The Spartans were still, and would remain, primarily concerned with the Peloponnese, which they seldom wandered far from out of fear the neighboring peoples they had enslaved and bullied would rise up. Athens itself, though burgeoning and increasing in "bestness" still faced the problem of disunity, both internally on account of rival factions and amongst other cities. The Battle on the Plain of Marathon, Summer 490 BC. It is a bit of a tradition to describe "Great Battles" in terms of columns, flanks, weapons, and armor. The image of generals moving figures over giant table-top maps comes to mind. Indeed this sort of analysis is both helpful and necessary. Billows accomplishes this aspect of understanding the battle efficiently and clearly but he does not dwell there, rather he brings out the many unique aspects of the battle as a whole. First, an astounding [about] one-third of the Athenian population, essentially a full call to arms, came out to fight. Indeed, as Aristotle would go on to say, thanks to those who fought at Marathon, "the salvation of the community is the common business of all. This community is the constitution [emphasis mine]"  and referencing the fight between Achilles and Agamemnon in the Iliad, "he is a citizen in the highest sense who shares in the honors of the state. . . he who is excluded from the honors. . . is no better than an alien." Thus what made the Athenians uniquely able to prevail in this struggle vividly comes across here. Billows also makes a few necessary corrections to the Marathon legend. First, it is not likely the Athenians would have run the entire mile between the armies, both on account of the fatigue which would ensue, and that it was only necessary to run whilst in range of the Persian archers, i.e. the final 150 meters. Second, Miltiades deserves more credit for his tactics. At at time before extensive and strategic generalship, when armies more or less walked at each other and started fighting, Miltiades' perceiving that the threat was of being outflanked and subsequent strengthening of the Greek army's wings at the expense of the center ought not to be underestimated as achievements. Lastly, Billows offers some clear alternatives to some of the post-battle incidents. First, it is quite unlikely Philippides, who had just run 140 miles from Athens to Sparta and back again, would have dropped dead after running, one way, the 25 miles from Marathon to Athens. Second, the real feat of the immediate aftermath of the battle was the fact that the whole Athenian army, desperately hoping to out-run the rest of the Persian force which was making its way to Athens by ship, marched from Marathon to Athens. They did so, according to Billows, via the two roads back to Athens, the young and more able taking the rockier, uphill path, and the rest taking the longer but less-strenuous path. The Persians, arriving and finding this army trickling in at Athens, wisely departed, probably grudgingly impressed. The Spartans, arriving a few days later, certainly were. Billows rounds out the story with the conclusion of the Persian Wars, but duly emphasizes it was what happened there, then, at Marathon, that enabled a complete victory later. Had the Athenians faltered, failed, or simply left, the fates of the Greeks would have been different. The busy and bustling city of Athens, the city of Plato and Sophocles, the culture and world in which they lived and thought, would not have come to be. This city of garrulous and quarreling peoples, this city which fostered and required civic and cultural engagement, became a hot-spot of creation, experimentation, and inquiry. It is unlikely a town on the Persian Gulf, where the people of a defeated Athens would have been relocated, would have had a climate that would have inspired The Clouds or The Republic. If you were to ask a Classicist, "what are the influences of the Greeks on Western Civilization" you would probably get a bit of a chuckle. If the ways are not innumerable they are near it. I'll close with what Dr. Billows begins with, that the lesson of Marathon "is that on some non-trivial level, humans can take charge of and affect their destinies: if ten thousand men had not made the stand they did on the plain of Marathon, history as we know it would not have come about." N.B. Gladly, Dr. Billows' book is not laden with footnotes and excessive scholarly minutiae. Someone, even a non-expert and non-Classicist, can actually pick it up and read it and enjoy it. The "Further Reading" section at the end addresses some issues of contention and points readers toward a variety of sources on more specific issues. Overlook Duckworth, Peter Mayer Publishers, Inc. 2010. Peter Robinson, for the Hoover Institution's Uncommon Knowledge, interviews former adviser to Secretaries of State George Schulz and Henry Kissinger, Hoover research fellow, and member of the Working Group on Islamism and the International Order, and author of Grand Strategies. Grand Strategy: knowing where you're coming from and where you're going, maintaining the big picture; the 1648 Treaty of Westphalia and the birth of the modern international state system. Education: Statecraft cannot be practiced in the absence of literary insight. Aeschylus' Orestia and modern Afghanistan. Thucydides and the complexity of strategy and statecraft. Souls, human rights, equality, and sovereignty. American exceptionalism. Federalist 10, property rights, and protecting liberty. For the week of Saturday, July 17 through Friday, July 23. 1) In City Journal, Heather MacDonald and "Classical Music's New Golden Age." 2) William Schambra in National Affairs on "Conservatism and the Quest for Community." 3) Henry Olsen in National Affairs on "Populism, American Style." 4) Victor Davis Hanson and pitying the postmodern cultural elite. 12) Remembering tenor Anthony Rolfe Johnson, elegant interpreter of Britten, Mozart, and Fauré. For Saturday, July 10 through Saturday, July 17. 1) Nigel Biggar in Standpoint asks, "What are Universities For?" 2) In the WSJ, P J. O'Rourke with a modest proposal for improving a dull game. 3) At Pileus, James Otteson shares a short, sad story from the world of academia. 5) In the WSJ, Gonzalo Ruiz and transcribing Bach's Orchestral Suit No. 2 into an oboe-friendlier key. 6) The Economist reviews, "Why Mahler? : How One Man and Ten Symphonies Changed Our World" by Norman Lebrecht. 7) In the WSJ, Earle Hitchner with Mike Raffert, Irish Traditional Flutist and National Heritage Fellow. 8) In The American, Michael Barone on "The Return of the Jeffersonian Vision and the Rejection of Progressivism." 9) In the WSJ, Christian C. Sahner at "a glittering crossroads;" in Damascus' Umayyad Mosque, Roman paganism, Christianity, and Shiite and Sunni Islam all intersect. Patrick Kingsley in The Guardian on "The Art of Slow Reading." Nicholas Carr in the Chronicle of Higher Education. In City Journal, Daniel J. Flynn reviews' "Hamlet's BlackBerry: A Practical Philosophy for Building a Good Life in the Digital Age" by William Powers. Cesare Siepi, (1923-2010), Italian basso. In the WSJ, Barry Laurence Scherer reflects on the qualities that made him outstanding in his prime of the 1950s and 60s. Reading the work of Aleksandr Solzhenitsyn (sometimes acclaimed as 20th century Slavophile) prompted this brief exegesis on a 19th century Orthodox counter-cultural movement. Russian Slavophilism counted among its adherents such distinguished names as Dostoevsky, the Aksakovs, Ivan Ilyin, and Fyodor Tyutchev. Clearly, any movement containing such exalted thinkers and writers must be worthy of closer examination. What exactly was it that inspired these gifted thinkers? What were their goals and aspirations for the Slavic peoples? These are questions I hope to answer in this essay, for though these men are profoundly Russian in sympathy and at heart, the questions they pose and the answers they provide are relevant to all Christian men: using the insights and theological language of the Russian Church, they hoped to challenge the growing materialism and bureaucratism of Russian society, as well as counter its descent into revolutionary anarchy (cf. Dostoevsky's Demons). But before proceeding to the Slavophiles, we must take a closer look at a like-minded group, from whom they critically received some of their inspiration. The Narodnichestvo movement was contemporary with late 19th century Slavophilism; Narodniks fought to preserve intact the peasant commune system after the Emancipation of Serfs. In preserving the economy of the obshchina (tr: the village 'commune'), they hoped to protect the newly-freed peasants from the money-hungry middle class, who might try to uproot and exploit peasant families. The Narodniks, to accomplish their goals, immersed themselves in the peasant culture, learning Russian (French was the language of the educated and wealthy. ), dressing in traditional folk dress, and participating in peasant dances. Unlike Slavophilism, the Narodnichestvo had a strong revolutionary element. Many of the leading thinkers of the Slavophile movement received excellent educations; they were intimately familiar with Western philosophy and literature, and some of them, in their early lives, were convinced by the materialist claims of the secular West. 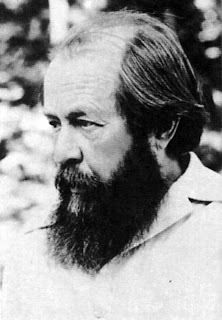 Ivan Kireevsky, an early Slavophile thinker, attended Schleiermacher and Hegel's lectures while traveling in Europe, Tyutchev was taught by one of the premier Russian disciples of the German philosophers, and Konstantin, as a university student, was a member of a Russian Hegelian society. All three men would later reject this youthful flirtation with Western philosophy, and all deprecated the soul-corroding effects of Western rationalism and acquisitiveness. In reaction to the excess scientism and rationalism of the German and French philosopher, they turned to the spiritual center of their country, the Orthodox Church, with its vibrant mystical tradition and its anti-Aristotelian bias. Kireevsky, in his essay On the Nature of European Culture and on its Relationship to Russian Culture, singles out for particular scorn Aristotle, holding him responsible for the West's 'decline' into empiricism and rationalism. The Christian East, according to Kireevsky, in contrast to the West, is the spiritual student of Plato. The Cappadocian fathers, St. Maximus the Confessor, St. Gregory Palamas are all heirs of Plato, emphasizing 'idealism' rather than empiricism. As such, the Slavophiles were polemical in their denunciation of the West's attachment to Aristotle. For Kireevsky, 19th century German philosophy was simply another baneful manifestation of the Western preoccupation with empiricism, a preoccupation he credited (wrongly, as I have it) to Aristotle. In contrast to the rationalist politics and theologes of the Germans, Kireevsky held up for particular reverence the Orthodox doctrine of sobornost, which he defines as "the sum total of all Christians of all ages, past and present, [who] comprise one indivisible, eternal living assembly of the faithful, held together just as much by the unity of consciousness as through the communion of prayer." His model of society, of sobornost, was the obshchina, where communitarianism and cooperation prevailed. Not surprisingly, a common Slavophile critique of the West was its rampant individualism. Aleksey Khomyakov, the other grand old man of Slavophilism, was to develop themes and ideas similar to Kireevsky. Early association with Pyotr Chaadaev and other religious Russians was to lead him to a life-long and deeply-held Christian belief. He was something of a cultural provocateur, in that he wore a beard, a rare but noble act on behalf of Russian traditionalism. (Peter the Great had banned the beard in an attempt to modernize his country, and fines were levied on noblemen who wore the traditional boyar beard.) Khomyakov also criticized the two-headed economic demons of the West, socialism and capitalism. The weapon against these corrupt systems was the Church, where love, not lucre, was the commerce. The universality of the Church, its sobornyi, is for him a constant and ever-present model for the possibility of the world. 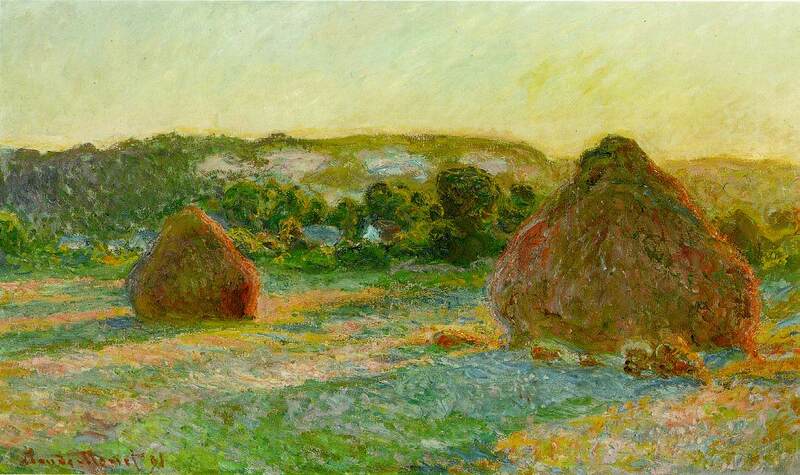 He sees mankind's union in the Church as the one essential goal, for union with the Church also means union with God. Like Kireevsky, he saw the peasant obshchina as a Christian model for the world, where action was motivated by both love of God and neighbor. The reality of the obshchina may have been different, as Khomyakov's critics will no doubt happily point out, for the obshchina almost certainly had its share of wickedness and corruption. Nevertheless, the model Khomyakov is presenting surely cannot be faulted---as it is a society motivated by the highest ideal, Love. Difficult to achieve, but the mandate of every Christian---"A new commandment I give unto you, that ye love one another as I have loved you." At this point, it might be suggested that the Slavophiles were only reactionary landowners, typewriter 'peasants' who had little or no concern for the lower classes. That, however, would be a false impression. The Slavophiles were among the first proponents of a constitutional, monarchical government. Konstantin Aksakov wrote a letter to Czar Alexander II after his accession to the throne, imploring him to reconstitute the Zemsky sobor, the traditional Russian parliament that had fallen into disuse not long after the beginning of the Romanov dynasty. The Zemsky sobor contained four Estates: the boyar class (the aristocracy), the Orthodox episcopacy and clergy, the representatives of the towns, and the representatives of the countryside. Like all parliaments, past and present , the Zemsky sobor had its failings and its inefficiencies, but it did achieve some kind of representation for the diverse elements of Russian society, aristocrat and commoner, city-dweller and country-dweller alike. The Slavophiles were joined in these pleas for a more democratic society by the Pochvennichestvo (tr: return to the soil) movement. Like the Slavophiles, the Pochvenniki were men of the church, and they too believed in the especial spiritual vocation of the Russian people. Pochvennichestvo's greatest apologists were Nikolay Strakhov, a philosopher and critic, and Fyodor Dostoevsky, the novelist. The Pochvenniki held, inter alia, that the Russia's crises were a result of the educated and the wealthy's alienation from the soil. If the intelligentsia could come to know the common people, Russian could begin to right herself. Pochvennichestvo received some of its most eloquent press in Dostoevsky's journal, Vremia. 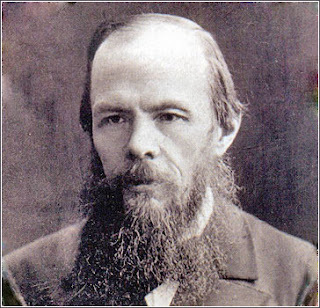 For Dostoevsky, the great task of Russia was not to reconcile itself to the West, but to reconcile Russia's educated society and its peasantry. Politically, they applauded the emancipation of the serfs, but like the Slavophiles, they called for further political action, particularly decentralization of power. They too venerated the peasant obshchina, but not for the spiritual reasons of the Slavophiles; they rather appreciated its ability to empower self-rule and local autonomy. They also called for greater access to education and for the increase of literacy among the peasantry. The Pochvenniki placed great trust in the transformative power of literature. I have not yet mentioned Leo Tolstoy, but there is a deliberate reason for the omission. As a philosopher and political thinker, Tolstoy defies all conventional categorization. He shares certain beliefs with both the Slavophiles and the Pochvenniki, but he is also clearly not one of their number. His un-Orthodox Christianity, for one thing, is a wedge between him and the more traditional Slavophiles. Tolstoy, however, despite his many failings, attempted to live out his ideals, many of them common to Khomyakov and to Kireevsky. His Anna Karenina is a beautiful 'hymn' to the peasantry and land, and Konstantin Levin one of the most sympathetic characters in the Western canon. Like his protagonist Levin, Tolstoy really did work among his peasants, plowing his fields on his estate and scything the hay at harvest time. Tolstoy seems genuinely to have cared for the well-being of the Russian peasantry, despite his other manifest hypocrisies. As Christians, the Slavophiles hoped to vivify society through the Orthodox church with its teachings on man's moral imperative to love his neighbor. The spiritual vision of the Slavophiles and the political vision of the Pochvenniki may seem strange and unwieldy to the modern Westerner, particularly since much of their polemic is devoted to criticizing the excesses of the West. Nevertheless, I feel certain that many of their insights are of lasting significance for a revivified Christian humanism, and we would do well to meditate, critically, on their worth. I've referenced Roger Scruton before on this blog. I admire him as a clear and incisive thinker with a catholic and far-ranging mind. Giving proof of his devotion to the traditions of Western man, he ventured, in the 80's, to Eastern Europe and gave private philosophical seminars to Czech and Polish dissidents. The proof, as they say, is in the pudding, and this willingness to put himself in danger for the well-being of the intellectually and spiritually oppressed marks him as a true philosopher, a lover of wisdom, justice, prudence, and truth. The Old Testament reading (Gen. 18: 1-3) that I took as my material for today's little meditation offers me an opportunity to sketch out a Christ-ological (a fancy theological word; it just means 'things having to do with Christ') reading of the Old Testament. Theology exists, or ought to exist, solely for the purpose of worship. If theological reflection does not lead us to prayer, it has failed in its purpose and should be cast aside as useless, and perhaps even dangerous. But now to the text itself! I suspect that this little drama has largely been passed over in many an individual's reading of Genesis; it's not nearly as well known as the events that follow. But this episode in the life of Abraham is what ancient Christian writers called a 'type.' A 'type' is an event in the Old Testament that foreshadows Christian doctrine. St. Paul uses this kind of interpretation in his letters. For instance, in his Epistle to the Galatians (4:21-31) he adopts Hagar and Sarah as 'types' or symbols of the synagogue and church; early Christians, following the Apostle's lead, enthusiastically adopted his method. Two brief examples: Cyprian, a 3rd century bishop, interpreted Noah's Ark to be a 'type' of the Church (St. Peter in his First Epistle [3:20-21] adopts the Ark as a 'type' of baptism), and Ambrose of Milan, a 4th century bishop and theologian, interpreted the marriage of Rebecca and Isaac as a 'type' of Christ's mystical union with His spouse, the Church. If it helps, you might think of this kind of interpretation as an ancient counterpart to C.S. Lewis' allegorical re-telling of the Christian story in the Chronicles of Narnia. In those wonderful stories, Lewis re-imagines events in the life of Christ and dresses them up in new clothes: he allegor-izes the Christian story, using Aslan and his sacrificial death on the Stone Table to represent the death and resurrection of Christ. For his storytelling, Lewis is beloved of modern Christians. For ancient Christians, the Old Testament was similarly beloved and beloved for similar reasons. There, Christ was always peering out in veiled disguise, preparing the world for his Incarnation. At Mamre, Abraham, as the Scriptures say, met the Lord. This passage must indeed be puzzling to Jews, but for Christians, it allows but for one interpretation. 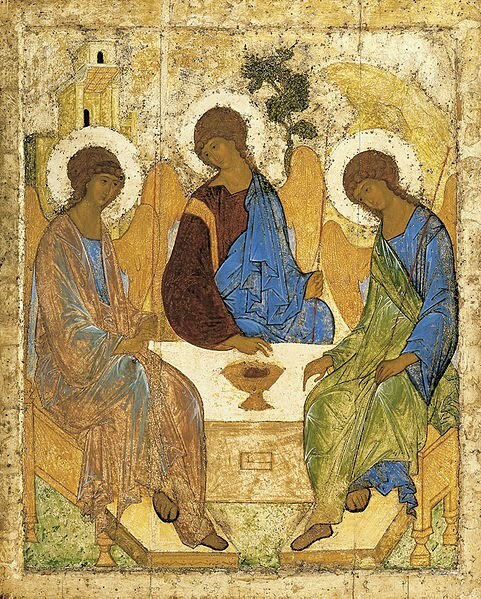 The Lord, appearing in the guise of three angels, is a 'type' of the Christian doctrine of the Trinity. To Abraham, God was One (as He is to millions of Jews and Muslims), but for Christians, that's only true insofar as we believe that God is One in Three Persons, Father, Son, and Holy Spirit. When God revealed Himself to Abraham, He revealed Himself as the Creator and Sustainer of the Universe. But revelation doesn't stop there. It continues with Moses who officiates at God's covenant with Israel, and with her judges, prophets, and priests. But like lightning from a clear sky, the New Testament, the record of Christ's incarnation, earthly ministry, death, and resurrection, reveals that God is not simply and only One; He is a mystery, a communion of three persons, and wonder of wonders, one of those divine persons, the Word, has taken flesh. Furthermore, his Crucifixion and Resurrection have reconciled us to the Father; and His gift of the Holy Spirit ensures the perpetuation of His grace and love in our midst until the end of the world. When the Lord appeared to Abraham at Mamre, under the guise of three angels, He foreshadows his own revelation of Himself as Three-in-One. But preeminently, we ought to reflect, in this little episode, on Abraham's response: he runs to the Lord, bows down, and does worship. And he asks the Lord to stop with him and feast with him. Not even to Abraham did God confide his entire plan for the salvation of humanity, or the mystery of His own Triune nature, but it is our incomparable gift that we, so much the lesser than Abraham, should worship in spirit and truth the Lord Jesus Christ, the God-Man and the Revealer of God's mysteries. But this knowledge of the Triune God is a gift; we only possess it by virtue of God's own magnanimity, and we only possess it perfectly insofar as we make a gift of it ourselves. Let us too run forth to meet the Lord and bow down. For the week of Saturday, July 3 through Friday, July 9 2010. 1) From the WSJ, The Film Society of Lincoln Center is celebrating Clint Eastwood's 80th birthday with a two-week retrospective of the icon's 31 directorial efforts. 2) Conductor Michael Tilson Thomas on Gustav Mahler. 3) For the WSJ, Judith H. Dobrzynski talks to Peter Meineck, who with an $800,000 grant from the NEH is taking staged dramatic readings of works by Athenian playwrights to 100 public libraries and art centers in 20 states. 4) In the WSJ, Will Friedwald with Svend Asmussen, 94, probably the oldest active major jazz musician in the world and the only one who's played with Fats Waller, Django Reinhardt, Stéphane Grappelli and Duke Ellington. 5) James Bowman on John Huston's 1948 classic, Treasure of the Sierra Madre. 6) At Mises Daily, John S. Chamberlain with Ten Economic Blunders From History. 7) At The New Atlantis, Jeremy Axelrod on the bewilderments of quantum theory and "Quantum Leaps" by physicist and science writer Jeremy Bernstein. 8) Via Life in Italy, the Colosseum is to be restored, protected and lit up permanently in a project starting later this year. 9) At The Volokh Conspiracy, Keynes vs. Hayek– 1932 Redux. The work of your humble blogger, dates unknown. area, two arms in front, and. 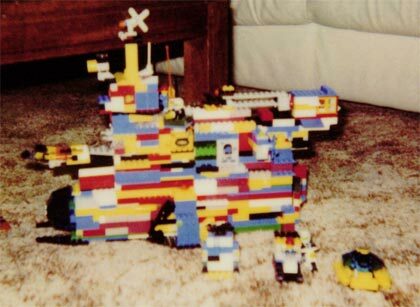 . .
As you might infer from the photos, the joy of building with Legos was of course the limitless possibilities. Before the days of themed sets you quite simply had a bucket of pieces and from that would spring cars, boats, houses, and structures of endless variety. Eventually I grew to appreciate the themed sets, which gave you all of the fancy pieces, the translucent windows, the hinges, wheels, et cetera with which you could create increasingly elaborate structures. 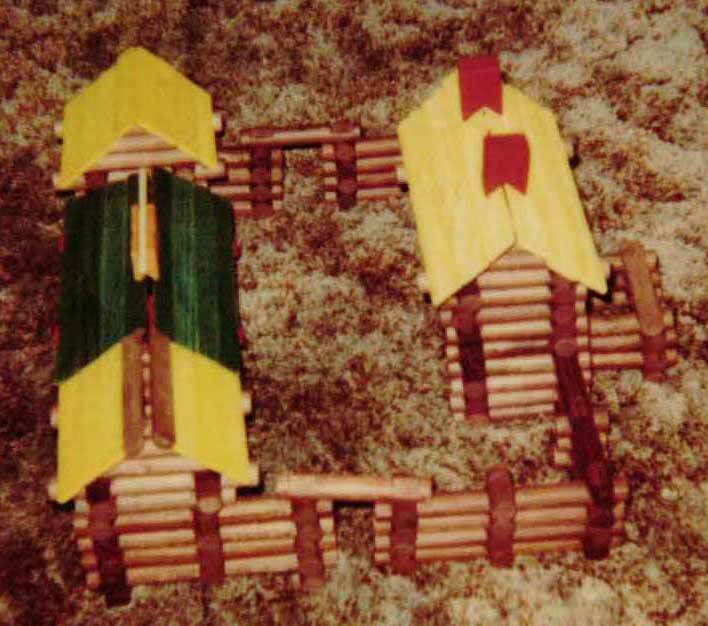 Such sets were always badly designed, though, always structurally weak and usually lacking suitable egress and defensive capabilities. By nature Legos forced the user to adapt to the limitations of the pieces you have at hand. They also gave one the opportunity for experimenting with different designs. Some were too fragile, some wasted pieces, others were aesthetically displeasing. Unfortunately one could seldom achieve a perfect aesthetic since you rarely had each piece in precisely the needed color. Yet one continued to revise. 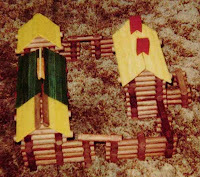 Exhibit C.
Version 2 of "Bridge" with improved pylons and matching ramps. Sure, not everything worked and looked great, but Legos asked me to bring something to the experience of using them. They were not a self-contained experience I simply consumed, but rather were, to use the cliché of today's dutiful parents, "open-ended." They could be anything and what they became would reflect the person building. Rather than pacify they force one to be thinking, creative, and engaged. Gladly I can say Legos and the Lego community are thriving today. The "Mindstorms" series incorporates programmable electronics creating the potential for rather remarkable machines. Lego competitions are common. Simply searching "lego" on YouTube will surprise you with a variety of uses for the simple plastic bricks, from firearms to stop-motion short films. Legos are not simply objects for amusement, but vehicles for exploration. They're also a lot of fun.